For most children, a routine dental appointment involves a cleaning, some x-rays, and a toothbrush at the very end. Yet for many kids, there are procedures that are slightly more invasive and time-intensive. When your child needs a more complex procedure from our pediatric dentist, undergoing general anesthesia might be a great option. General anesthesia is a medicine that provides a deeper sleep during medical procedures. When the vast majority of people undergo general anesthesia, they are unable to feel any pain. This is advantageous for the patient, as they do not have to suffer any discomfort or pain from a more in-depth procedure, and also helpful for the pediatric dentist, as they can work more easily and more efficiently. How does general anesthesia differ from sedation dentistry? With sedation dentistry, your child would receive similar medicine to general anesthesia, but it provides a lighter sleep. They can be woken more easily than with general anesthesia. 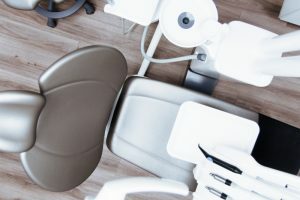 This is usually a better option for children who have less invasive procedures, but perhaps are dealing with dental anxiety. As with general anesthesia, your pediatric dentists at Treasured Teeth can serve as a great reference for whether your child would be a good candidate for this medical option. How should I prepare my child for general anesthesia? Our video below serves as a resource for both general anesthesia and sedation dentistry. As a general overview, any procedures with general anesthesia require fasting for 8 hours before the procedure (no food or water). Additionally, your child during the procedure will meet with and work with an anesthesiologist to make sure everything is set—however, this is after you and your pediatric dentist decide that general anesthesia is a good option for the treatment ahead. Should my child receive general anesthesia? At our pediatric dental clinic, we will communicate with you if your child would be a good candidate for general anesthesia. Some children might benefit from general anesthesia if it’s a more complicated procedure, or if they have more complex medical histories. Especially in the event of a longer procedure, general anesthesia can be advantageous, as it allows your child to be still for an extended period of time. As always, you can ask our pediatric dentists and dental clinic for a consultation if you’re considering this option for your child. Contact our Thornton or Reunion dental clinic today—we’d be happy to help!